As we get older, our lives start to get busier. With work, kids, and a social life all coming together, eventually you begin to misplace or lose your things. In my instance, I have a knack for misplacing my keys. A dedicated key bowl by my front door doesn’t help to remind me to place my keys in there. Instead, I tend to throw my keys down on the most convenient place I can find once I run through the door, or leave them in the pockets of a pair of pants. 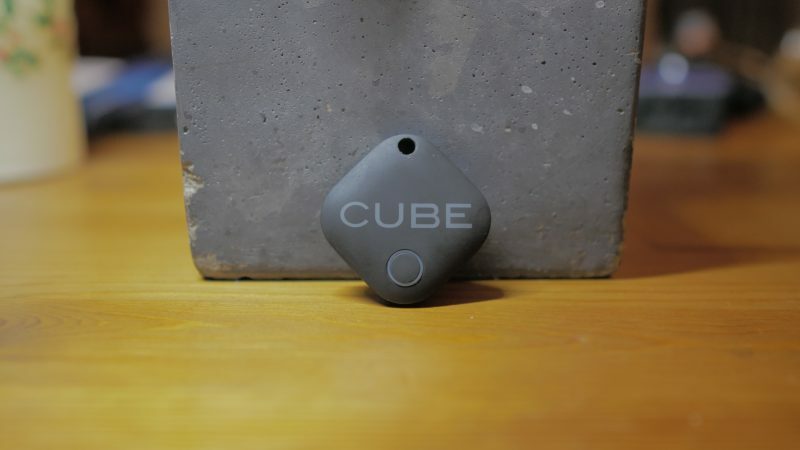 For the last few weeks, I’ve tagged my keys with the “Cube Tracker.” A small square-shaped piece of plastic that can help you easily find your lost items by emitting a loud noise that can be easily heard inside your home. The Cube Tracker is a small square that measures just about an inch and a half. The body is made from plastic with a hole punched out for the included key ring. On the front side, you’ll get the obligatory product logo and a small button that when pressed, access one of the Cube’s features. On the back side, you’ll get a speaker grill that will transmit a loud ringing noise when the cube is activated. Along the edge, there’s a small divot that allows you to use the included tool that will help you pry open the cube to replace the battery. The small and lightweight size makes the Cube easy to attach to your keys or other important items without being too cumbersome. Having my keys in my pocket with the Cube attached didn’t feel uncomfortable. In fact, there were times when I forgot that I had the Cube was attached and only realized it once I had pulled out my keys to use them. The Cube app is easy to use and navigate, although the overall look of the app is not that appealing. The gray color scheme makes the app not as attractive to use. Now for some, that won’t necessarily be a deal breaker, but for those who are adamant about their UX design, they might not fare as much. When it comes to features, the app is straightforward. The first time you launch the app, you’ll be required to set up and connect your Cube tracker. And if you have multiple trackers, you can give each one a specific name. There’s a map that you can pull up that will give you the last known location of where your Cube tracker was along with the address. In the settings, you’ll be able to change ringtones, check the battery life, and set the trackers quiet time and zone. The Cube is connected to your mobile device using a Bluetooth connection. If you turn off your Bluetooth, you won’t be able to track your items. Cube states that the connection has a range of 100ft, which might work well within the confines of your home, but won’t be as helpful if you were outside and managed to lose your keys. The Cube has the feature to locate your phone as well. 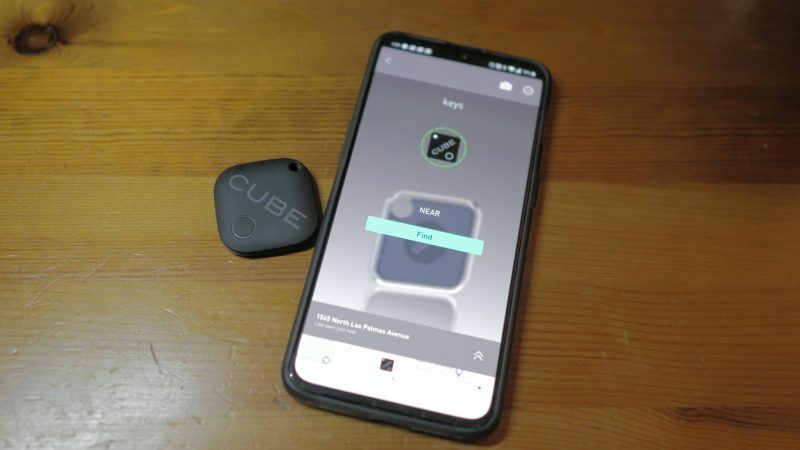 Both devices are connected to each other via Bluetooth, and if you were to lose or misplace your phone, you can find it by pressing the button on the Cube Tracker twice. This is will set off a ringtone on your phone that can be turned off once you find your smartphone, or if you press the button on the Cube Tracker one more time. One great feature that’s built into the device is the crowd find. Crowd find will allow you to find your lost item using the community of Cube users. It’s a simple feature that will trigger an update to anyone who uses the Cube app that’s within proximity of your lost item. 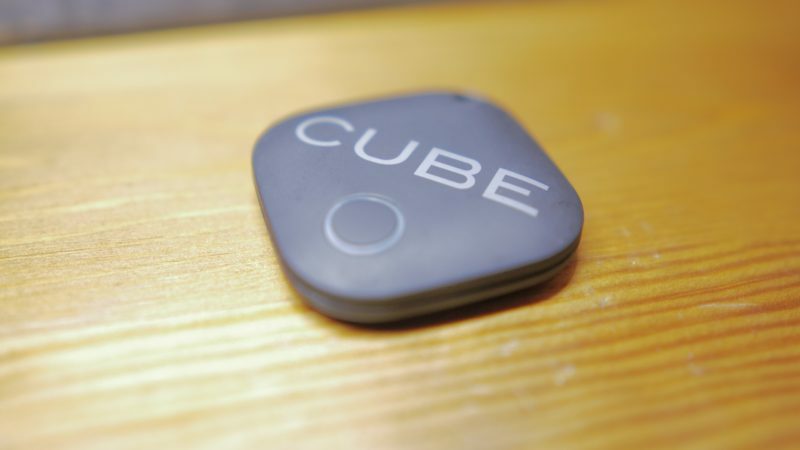 For being a small and lightweight device, the Cube Tracker can be a lifesaver if you’re the type of person who’s prone to losing your keys or other important items. Ideally, the Cube Tracker is intended to be used for your keys, but you can easily throw it in your bag, purse, or even slip it in your wallet. The plastic body makes the Cube Tracker feel durable, and the battery can let you track your items for up to one year. Although the app isn’t the prettiest on the market, it still does what it needs to do in a simple and straightforward manner. The Cube Tracker retails for around $25 which won’t break the bank if you’re in need of a device that can help you find your lost items. 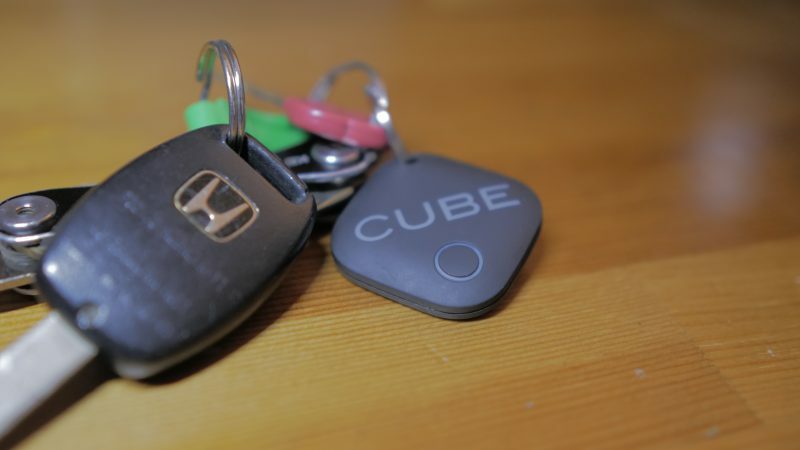 The post Never lose your keys with the Cube Tracker (review) appeared first on Nerd Reactor.